This year (2018) my goal is to read 52 books. Here is a list of all the books I’ve read in 2018. Each book is ranked on a 5-star scale (5 is best). This book was fine, but I think I’m just searching for another running book that can come close to the amazing book, Born to Run. That book almost made my top 5 books list, it was that good. Ultramarathon Man was decent. 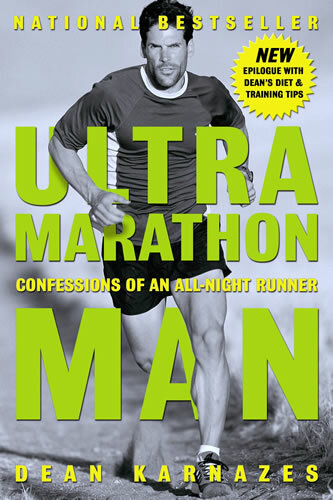 It tells the journey of the author, Dean Karnazes, and how he found ultramarathon running as a way to give his life meaning. The things he accomplishes, and the way he pushes his body and mind, are nothing short of incredible. It’s a fun book and if you’re into running, you’ll probably love it. I read this via Audible while running, so it was very motivating at times. I’m struggling to pound out a 3-mile run while this dude is running 190 miles nonstop, having hallucinations and losing his mind. Yeah, I think I can make it.